Found this one on your site. I kept on looking at this. Sad but that is reality at time as you pass through a city. Not only in NYC but other cities as well. Your photograph is excellent ,nice work and a strong message. sad image but nice capture.V. Home is where I lay my head. 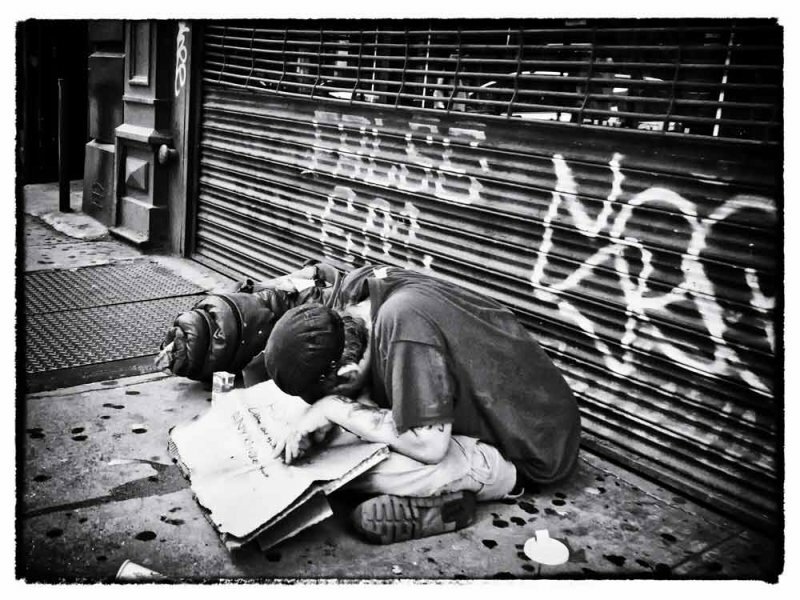 a heartbreaking and poignant image of the streets of NY! Great capture! And really good conversion to BW. Infinitely sad - and more and more common. A powerful image. So saddening to see this scene of desperation. And even sadder that it's here, in the US. V.
Ironic that this is allowed to be in prosperous New York. "V"
This really breaks my heart.. No one should have to be in this situation in this country!! Lets send more money to countries that want to kill us... Maybe that will help.